Katariina participated in a joint exhibition, Amici Della Galleria, at Verve Gallery in Santa Fe, NM. 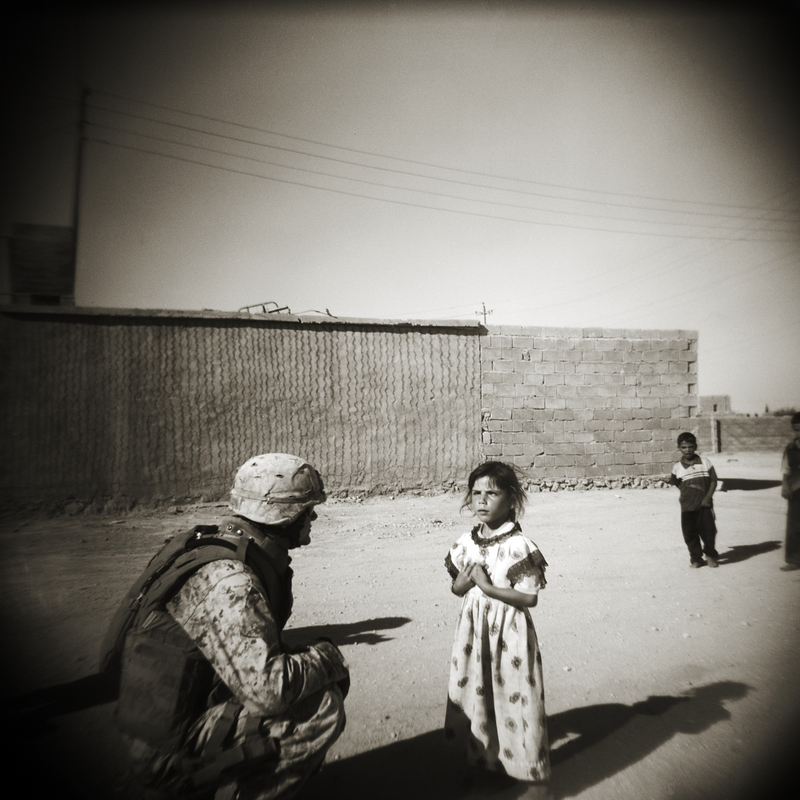 She presented a body of work she had photographed with a Holga camera while serving in Iraq. I called it, Into the Borderlands: Struggling with PTSD. 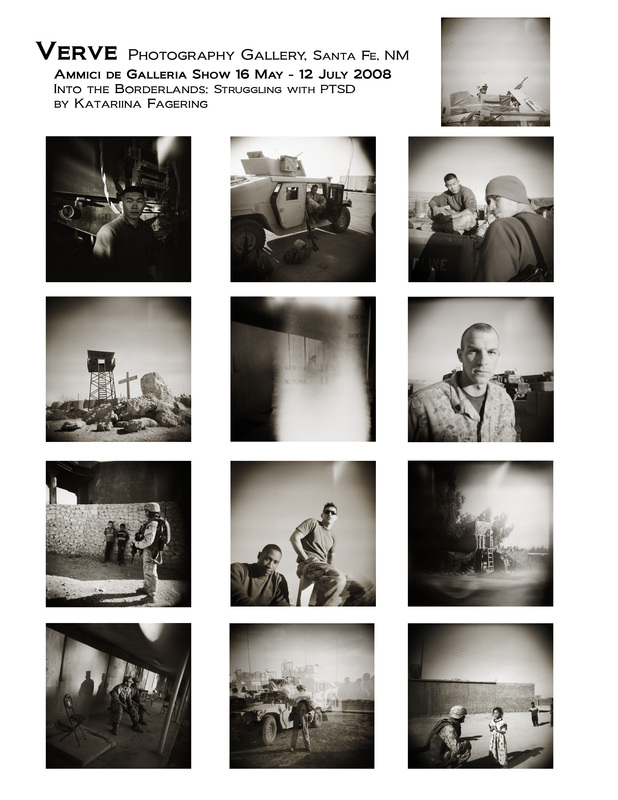 This body of work asks the viewer to contemplate the toll that this war is taking on our warriors. War has far reaching consequences and we, as a nation, have burdened the weight and the blood of those consequences on our young warriors and their families. These young men and women are eager to fulfill an innate warrior archetype as a rite of passage in a noble war but they are not prepared for what awaits them in modern warfare and the indiscriminate destruction that is inherent in this conflict. 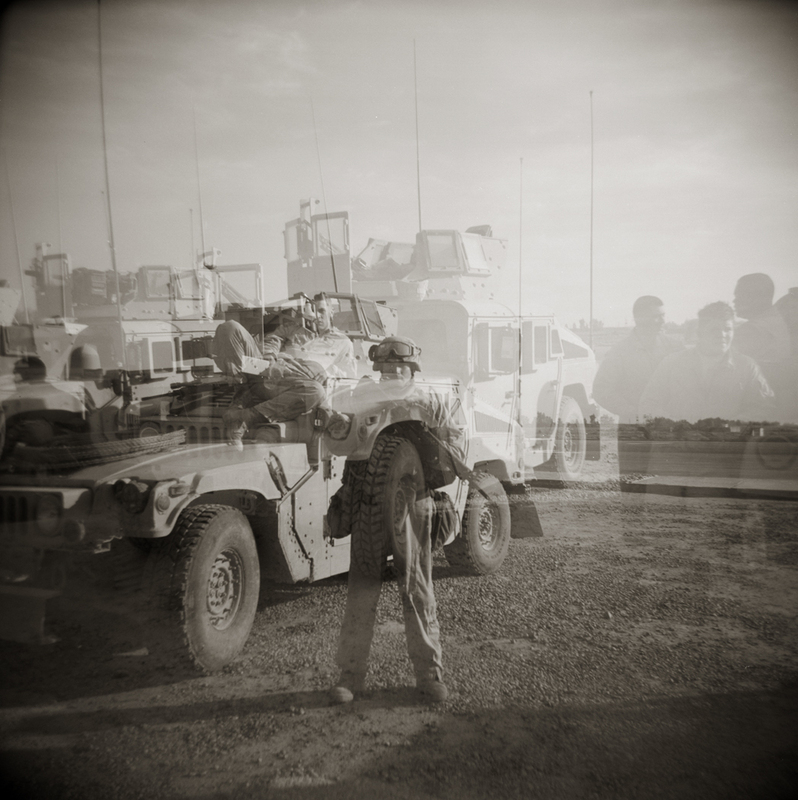 Hundreds of thousands of returning warriors are living somewhere between war and home unable to reconcile their own actions or the actions they witnessed. Feelings of shame, guilt and betrayal weigh heavily on their chests as they try to pick up the pieces of their old lives. No one comes home from Iraq the same and this is the natural response to what was experienced. 18 vets commit suicide each day (note: in 2014 this figure is now 22 a day), that is 6480 (8030) a year. 100,000 Viet Nam vets have committed suicide since that conflict. How do I pick up where I left off? How do I go on living like the rest of society, when in my heart I begin to understand there is no going back? There are some things that time cannot mend. Some wounds go too deep and we will never be the same. My hope is that perhaps from this place of broken heartedness; with hearts wide open a new life as a mature warrior can be created.